Is your marketing strategy ready to seize as much of the holiday revenue pie as possible — while also driving future conversion and retention? Download our Holiday Marketing Playbook to find mission critical tactics and strategies to drive success during primary shopping days and essential program components for turning newly acquired customers into retained customers! From National Ice Cream Day to Thanksgiving to New Year’s—each and every holiday is an opportunity for consumer marketers to create campaigns that generate amazing results. And, as some of the biggest holidays of the year are approaching quickly—now is the time to get your campaigns ready. If you want to capture your consumer’s attention, it’s vital that your marketing incorporates fun, relevant, and personal messages and offers. Why? Because just about every company runs holiday-themed campaigns—which means your customer will receive a huge volume of offers and messages. To break through the noise, you need to make sure your offers and campaigns are set up to succeed! Planning well in advance allows you to put extra time and thought into how you are going to launch an effective holiday campaign. Ideally you should start planning your campaigns at least 3 months in advance—but if you are behind (like a lot of marketers) you can still get back on track and create a campaign that dazzles your customers. 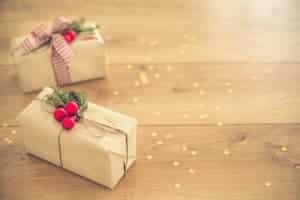 It is incredibly important to make sure you are giving the right offer to the right person at the right time and in the right place—especially during the busy holiday season. For example, as a loyal customer of my favorite clothing store, I expect to receive a special offer just for loyal customers in all of the places that I interact with the brand. You can segment by customer lifecycle stage, behaviors, persona, and specific demographics to make sure that you are delivering your fantastic offer just the way the consumer wants to see it and engage with it. Which holidays are you planning to run programs around? Choosing the right holidays to build campaigns around is important. The holiday that you choose should feel relevant and fun for your audience and segments. It is important to consider if your target audience of consumers will expect to see your participation in a holiday. For example, it would be surprising for consumers if a brand like Target didn’t have a Black Friday campaign because they have in the past and other retailers like them run marketing campaigns around that holiday. The holidays you choose also impact the type of promotion or offer you create. When it comes to choosing your offer, start by asking “What’s my goal?” This will help you choose the most effective type of offer to use. You should also research which kind of offers will motivate your customers to actually participate and enable your goal—this could be competitive research or it could be looking at your own past experiences. And finally, don’t be afraid to be creative and think outside of the traditional coupon. You can offer a contest, discount, tickets to an exclusive event, charity matching, limited-time offer, etc. Your consumers are savvier than you think—40% of consumers buy more from retailers who personalize the shopping experience across channels. Which may seem obvious because who doesn’t like to feel like a brand “gets you.” But the reality is, this is a critical component to getting your consumer to engage with your campaign. Make sure you are incorporating your customer data (this could be behavioral—based on what they have done or not done, or demographic—based on who they are) into the campaigns you are running. Especially during the holidays, your customers are EVERYWHERE—they are checking email on their phone, heading to the store to buy gifts (at 1 a.m. on Black Friday), getting inspiration from television ads, browsing the web for last minute holiday deals, etc. That means your campaigns need to be EVERYWHERE with them. Aim to create a campaign that is not isolated on specific marketing channels but instead tells a continuous story and meets the consumer where they are in their buying process—whether that’s just learning about you, or considering a purchase. Your loyal customers are you best advocates—meaning you should specifically reward them during the holidays. They will help you drive more revenue, referrals, and buzz—if you are thoughtful about recognizing and rewarding them. Be sure to build this aspect into any holiday campaign you create. This might mean asking them to share your campaign or program with their friends and then rewarding them for that behavior, or offering exclusive access before other customers, or giving them a bonus discount for being loyal as a part of your promotion. And last but not least, HAVE FUN! The more creative, fun and innovative you are, the more you will stand out from the rest. There are endless holidays that you can build a campaign around and so many ways to creatively do it—think about Doritos video contest for their Super Bowl ad slot every year, or Netflix’s Fireplace For Your Home. This article was written by Lizzy Funk from Business2Community and was legally licensed through the NewsCred publisher network.